This British Army infantry unit was formed in 1689. It served for 280 years until 1969, when it was merged into The Royal Regiment of Wales. This regiment was formed in 1689 by Sir Edward Dering for service in Ireland under King William III during the Nine Years War (1688-97). It spent three years there, fighting under the Duke of Schomberg. During the War of the Spanish Succession (1701-14), it fought at Schellenberg (1704), Blenheim (1704) and Ramillies (1706). The Duke of Marlborough - commander of the Allied armies during the conflict - was colonel of the regiment between 1702 and 1704. In 1741, during the War of Jenkins’ Ear (1739-48), the regiment took part in the failed British attack on Cartagena. It was given the numeral 24 in the line infantry order of precedence in 1751. Five years later, during the Seven Years War (1756-63), it had to surrender to the French as part of the British garrison on Minorca. The unit raised a 2nd Battalion in 1756. This became a regiment in its own right - the 69th Regiment of Foot - in 1758. The 24th Regiment was sent to Quebec during the American War of Independence (1775-83). It resisted the rebel attack there before going on to fight in the Saratoga campaign (1777), where it was captured. It was released in 1783, having been retitled the 24th (The 2nd Warwickshire) Regiment of Foot in the meantime. 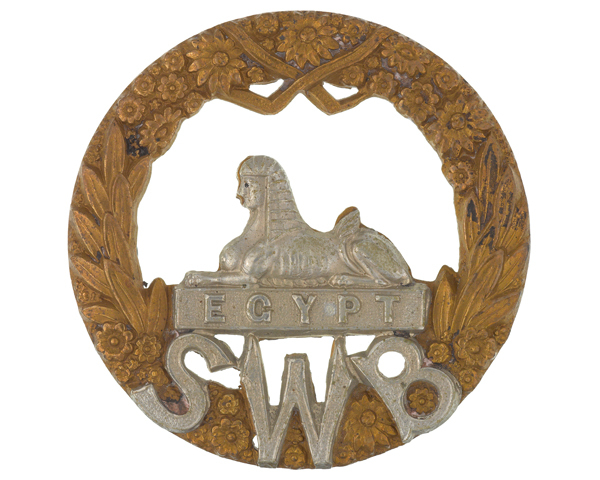 The 24th fought in Egypt at Abukir in 1801, gaining the sphinx symbol on its cap badge for its contribution. It then moved on to the Cape of Good Hope in 1806. 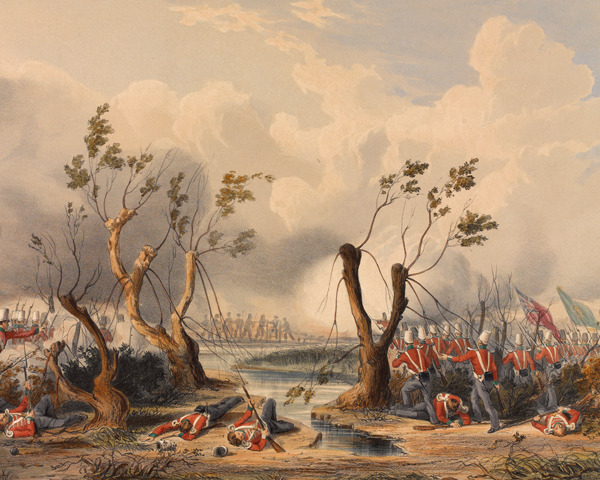 In 1804, it raised another 2nd Battalion that fought in the Peninsular War (1808-14). 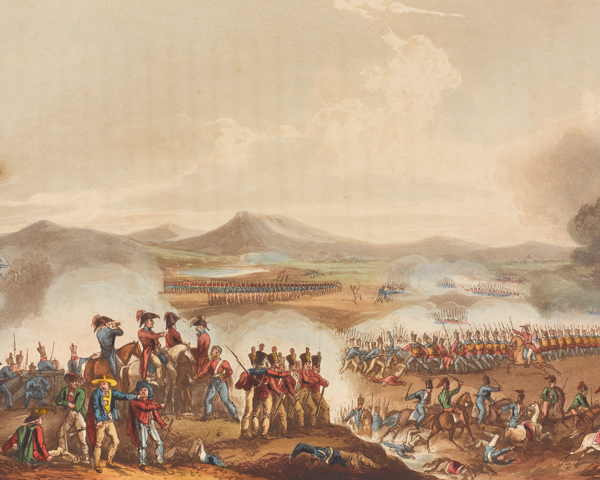 This unit won nine battle honours, including Talavera (1809), Salamanca (1812) and Vitoria (1813). However, owing to heavy losses in that campaign, it was temporarily merged with a battalion of the 58th Regiment of Foot, before finally being disbanded in 1814. Meanwhile, in 1810, 1st Battalion was captured at sea by French warships near the Comoro Islands (off the east coast of Africa). Released the following year, it then fought in the Gurkha War in Nepal in 1814, before a long posting to Canada from 1829 to 1841. Next, it was in India, where it sufferied heavy casualties at Chillianwala (1849) during the Second Sikh War (1848-49). It then garrisoned the Punjab during the Indian Mutiny (1857-59). In 1858, the regiment raised a 2nd Battalion yet again. Like 1st Battalion, this spent the 1860s and 1870s on garrison duties, including Mauritius, Burma and India. In 1867, it won five Victoria Crosses (VC) on the Andaman Islands, when soldiers rescued their comrades from tribesmen. Soldiers of the regiment also won 10 VCs during the Zulu War (1879). These included two at Isandlwana - for trying to save the regimental colour (the first ever posthumous awards of the cross) - and seven for the famous defence of Rorke’s Drift. Since 1782, the regiment had been associated with the county of Warwickshire. But in 1873, the regimental depot moved to Brecon in South Wales. 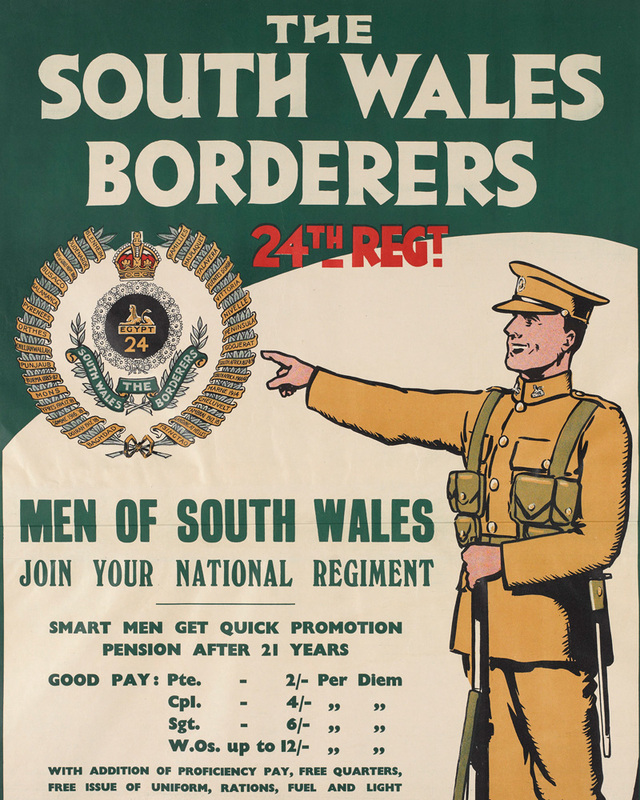 This was recognised during the 1881 Army reforms, when it was renamed The South Wales Borderers and made the county regiment for Monmouthshire, Breconshire, Radnorshire and Montgomeryshire. During the next two decades, both battalions undertook further garrison duties in India, Burma, South Africa and China. 2nd Battalion also served during the Third Burma War (1885) and the Boer War (1899-1902), including the Battle of Elands River (1901). 1st Battalion joined the British Expeditionary Force to France in 1914 and remained on the Western Front for the duration of the First World War (1914-18). 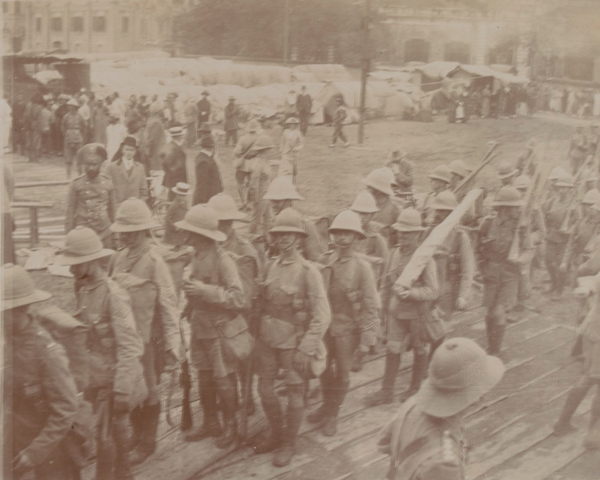 2nd Battalion joined the Japanese invasion of the German naval base at Tsingtao, as well as landing at Gallipoli (1915) and serving in France and Flanders (1916-18). The regiment also raised 19 Reserve, Territorial and Service battalions during the conflict. 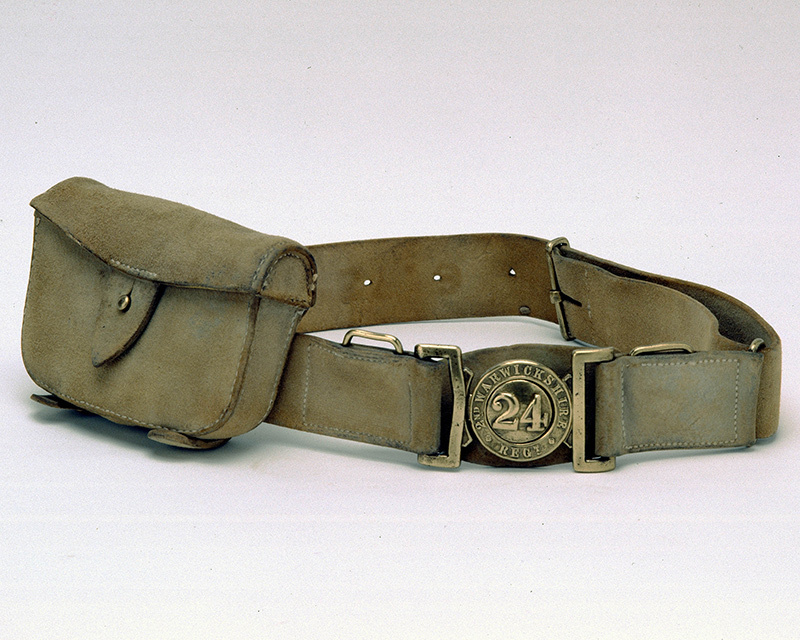 Both regular battalions spent the inter-war period in Ireland, India, Malta, Aden, Egypt and Palestine. In 1922, the Prince of Wales (later King Edward VIII) became the regiment’s colonel-in-chief. During the Second World War (1939-45), 1st Battalion served in India (1939-40), Iraq (1940-42), Libya (1942) and in Britain (1942-45). 2nd Battalion fought in Norway (1940). It then remained in Britain until 1944, when it joined the North West Europe campaign. It was the only Welsh battalion to land on D-Day. In 1948, the 2nd Battalion was disbanded. The immediate post-war period saw the regiment serving in Palestine, Cyprus and Eritrea. In 1955, it took part in the Malayan Emergency (1948-60), before moving to West Germany and Hong Kong. In 1967, it deployed to the Aden Emergency (1963-67). In 1969, it was amalgamated with The Welch Regiment to form The Royal Regiment of Wales (24th/41st Foot). The National Army Museum works together with Regimental and Corps Museums across the country to help provide a network of military museums for everyone to visit and enjoy. Explore the history and collections of the South Wales Borderers by visiting the Regimental Museum of the Royal Welsh and Firing Line: Cardiff Castle Museum of the Welsh Soldier. This infantry unit was created in 1881 and recruited in Camarthenshire, Glamorganshire and Pembrokeshire. It existed until 1969 when it became part of The Royal Regiment of Wales. 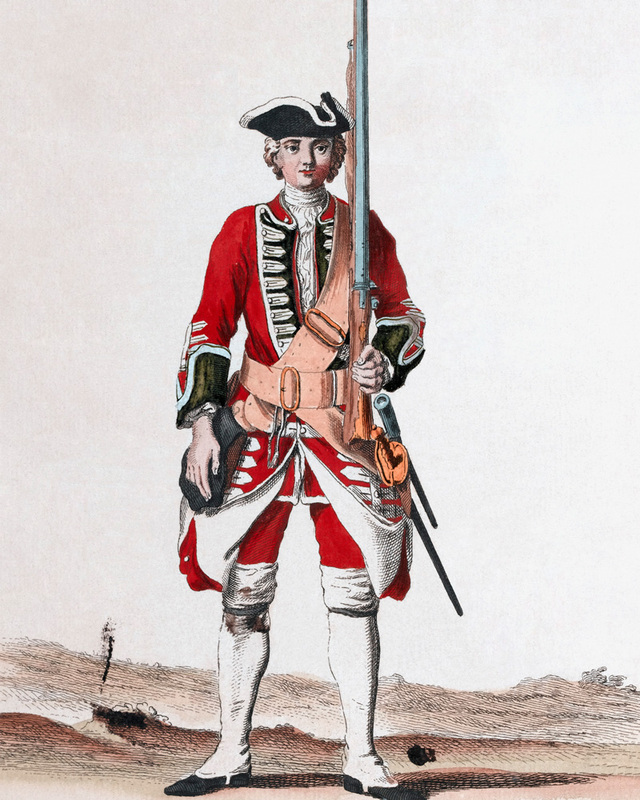 This British Army infantry unit was raised in 1719. It continued in service until 1881, when it was amalgamated into The Welsh Regiment. This British Army infantry unit was raised in 1758. It continued in service until 1881, when it was amalgamated into The Welsh Regiment. This British Army infantry unit was formed in 1969. It served in several operations until 2006, when it was merged into The Royal Welsh. This British Army infantry unit was formed in 1689 and primarily recruited in North Wales. Throughout its long history, it served in many campaigns. In 2006, it was merged into The Royal Welsh. This infantry unit was raised during the Army reforms of 1881. It existed until 1970, when it was merged into The Worcestershire and Sherwood Foresters Regiment.